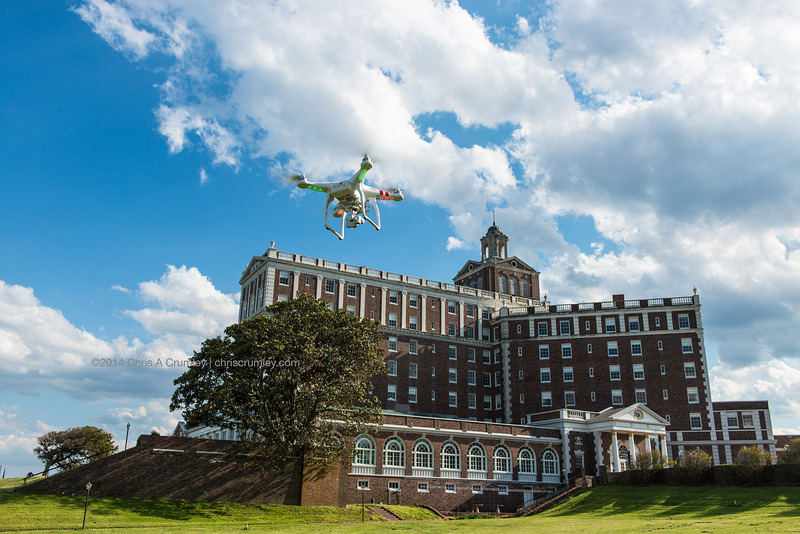 First flight of the new Quad...a DJI Phantom 2 Vision + at the elegant Cavalier Hotel on the hill, Virginia Beach, VA. On board 14MPix still and video camera on a 3-axis gimbal to keep things looking smooth. Grass was a little tall so takeoffs and landings on an apple box. Windy and gusty; looking forward to some still air...maybe early morning.